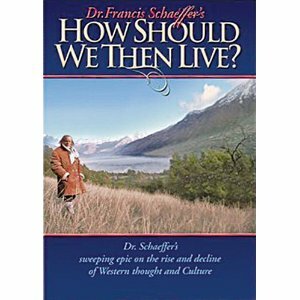 I was loaned Francis Schaeffer's complete works (4 volumes containing all his books) as well as his 10 part DVD on the rise and fall of Western Civilization. I am BLOWN AWAY at how prophetic his thoughts were 40 years ago! He shaped a lot of people's thoughts about understanding worldviews. I am learning so much from him. In How Should We Then Live? he goes on location to show how man's thinking changed through the ages from Rome to present day (1970's) and how philosophy changes art, music, culture and finally the church. Every teen and adult needs to watch this series to see how our thinking and postmodern culture are the products of history. Fascinating, thought-provoking, and eerily prophetic!